Whatever may be the device – Android smartphone, tablet or netbook to do Pooja in the instrument, Android apps are readily available on Google Play. For those of you who like Shiridi Sai Baba very much, to perform Sai Baba Pooja every Thursday store Shiridi Saibaba Pooja Apps. This Pooja app not only lets you perform pooja with flowers but also you can give harathi and ring the bells. For performing Shiva Pooja, get Lord Shiva Pooja Apps. You can celebrate pooja daily changing photos in the gallery. Pressing the harathi you can move it all over the screen and by touching the bell icon you can ring the bells. For worshipping Durga Mata, Durga Puja Android App is available on Google Play. All the details regarding the app can be obtained as per the menus. You can also know the Prasadam preparations at the time of puja. Aarti is a extraordinary ritual in Hinduism which is read after the completion of puja. Lakshmi Aartis during pooja is a great ritual in Hinduism which is performed on the festival of Diwali. The Pooja Aartis voiced by authority singers on this App create pleasing heavenly atmosphere around that can’t be explained in text. 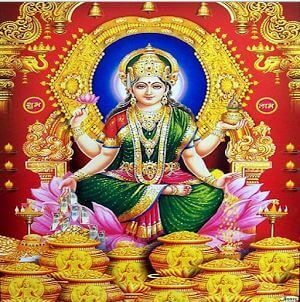 We worship the Goddess Lakshmi to get health, wealth and success and these mighty Laxmi Pooja Aartis are the finest mediums to accomplish all that we want. Get this Diwali Laxmi Pooja Aarti Android App to concentrate and sing along the most powerful MahaLakshmi Aartis for the Goddess Lakshmi to rainfall us with welfare, riches and prosperity. To get the divine grace of God Murugan, obtain Lord Muruga Chants Android App. Like in all other Pooja Apps on Google Play, here also flowers, auspicious harathi and bells can be used.